Archaeology is a science aimed at gathering information about former human occupations, from prehistoric times to the present. It leads to the discovery of physical traces of the past, such as material culture; man-made features; structural, plant, human and animal remains; and the contexts in which they were found. Various techniques are used to study these traces, including C14 dating, traceology, archaeometallurgy and zooarchaeology. 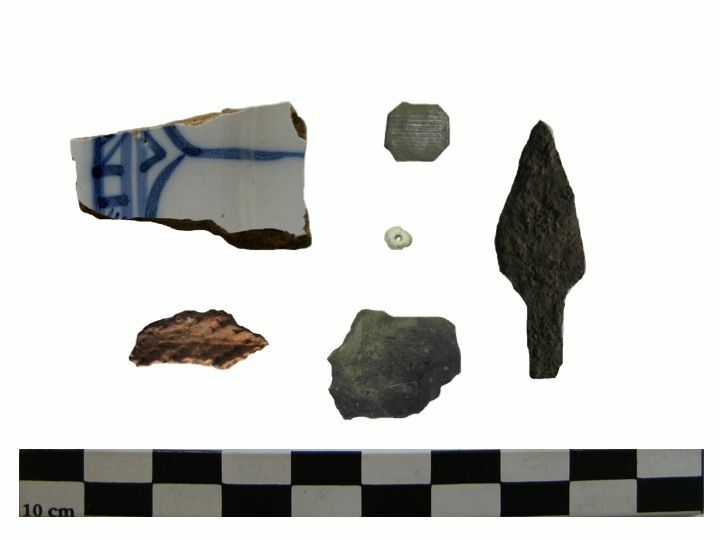 Their findings enable archaeologists to interpret the lifeways and cultural practices of past populations. 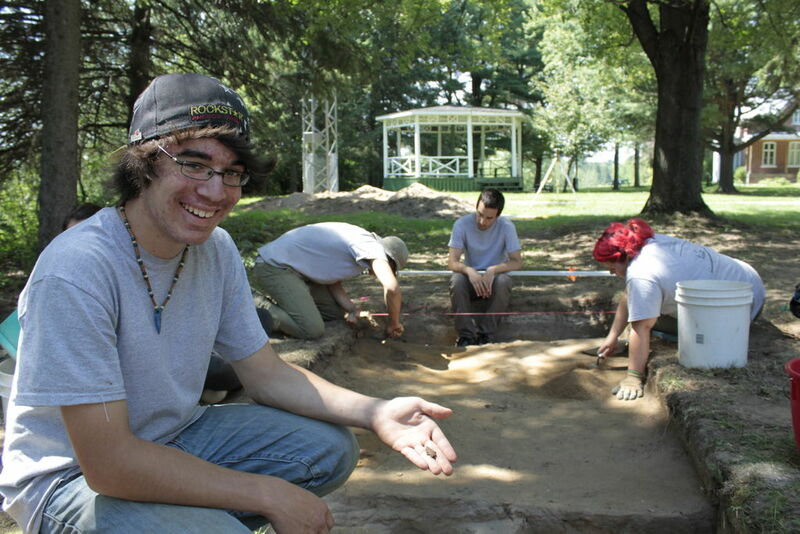 Archaeology uses analysis methods from both the social sciences and earth science. It is thus based on a multidisciplinary approach, involving collaboration with specialists from a range of disciplines. 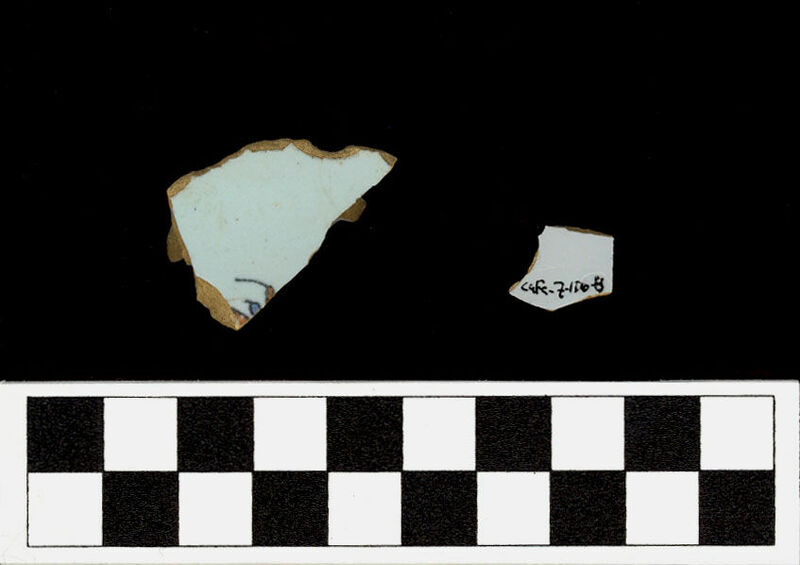 When archaeologists work on historic period sites, they consult written records as well as oral and audiovisual sources in order to interpret the archaeological contexts they uncover. They also discuss their findings with historians, who specialize in the study of written material. However, archaeologists and historians often reach different conclusions because there is not always a direct correspondence between archaeological discoveries and the information provided by written sources. The new light shed by archaeology can call past results into question and, especially, further knowledge about the lifeways of a site’s former inhabitants. Specialists from other disciplines often take part in archaeological projects. For example, zooarchaeologists determine what animal species were eaten by the occupants of a site, based on the animals bones found there. 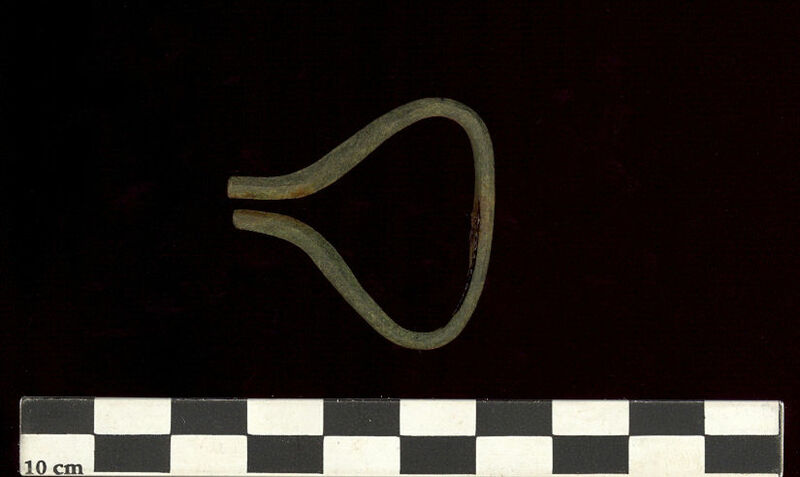 Specialists in ancient technologies study artifacts to understand how they were made, what materials they were made from, and what they were used for. 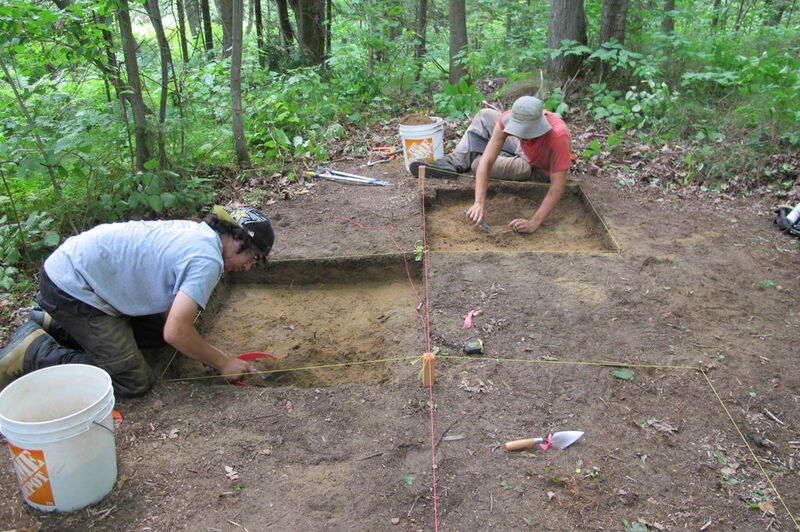 Architecture specialists, for their part, study the remains of dwellings, while environmental archaeologists analyze soil samples collected during fieldwork to determine what type of environment prevailed during a site’s different occupation periods. The Fort Odanak: the Past Revisited project was carried out in phases involving various forms of expertise. The archaeologists first did a survey of areas identified as having “high archaeological potential”, that is, all the characteristics needed for human occupation, such as fresh water, well-drained soil, and access to food resources and to materials for making tools. 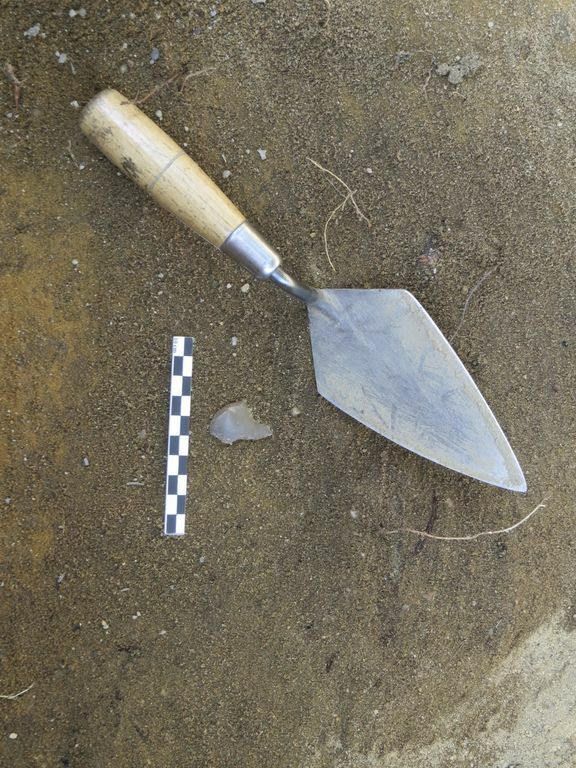 The archaeologists conducted the survey with shovels, trowels and sieves. They systematically dug 50 cm x 50 cm test pits in the area they had decided to survey, to see if they could find artifacts or other traces of former human occupation, such as hearths or structures made of wood or stone. 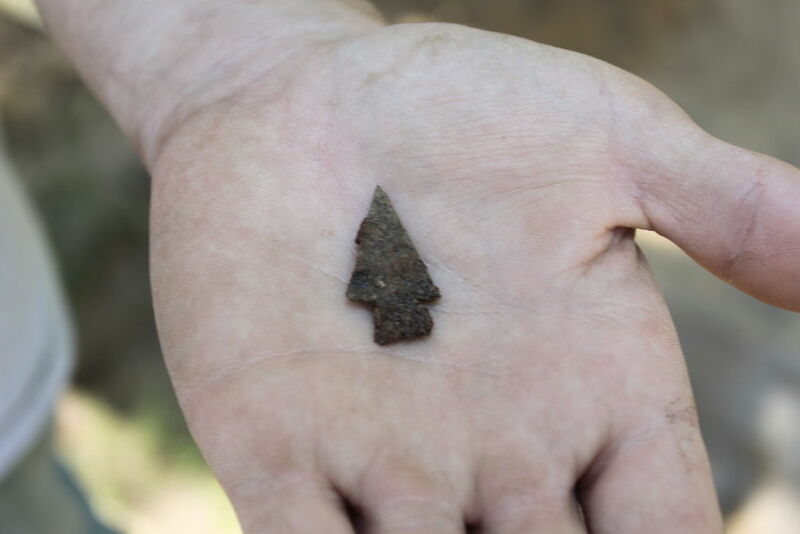 This first phase of the fieldwork in Odanak uncovered several occupation sites, namely, prehistoric camps and a number of colonial period historic sites, including a mill. Site CaFe-7 was the most important discovery because it yielded traces of several different occupations. 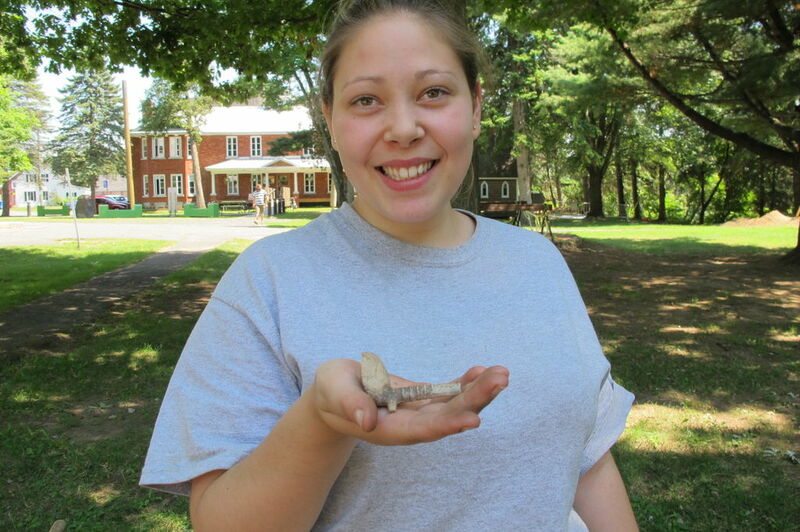 For example, the first remains of Fort Odanak were identified on that site during the fall 2011 survey. Following these discoveries, three more field seasons were conducted in 2012, 2013 and 2014. Open-area excavations were carried out in several zones, by removing large areas of soil layer by layer. 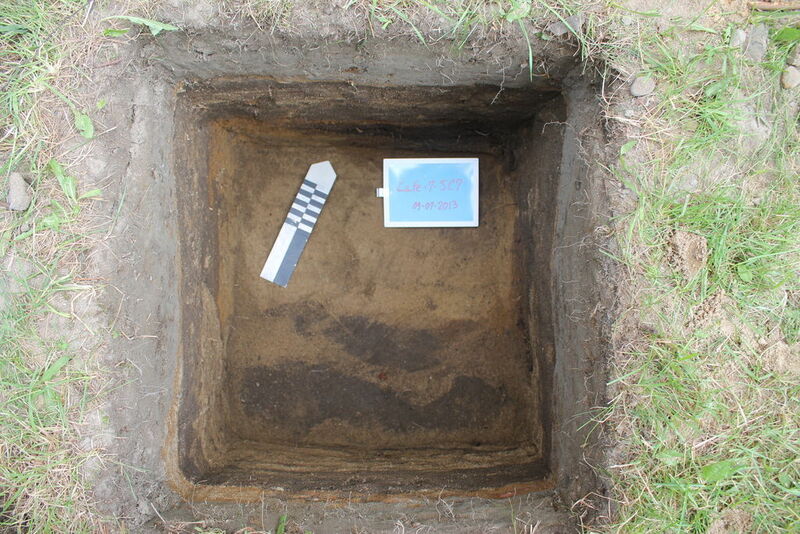 This excavation method had the advantage of providing a general view of the site and its archaeological remains, such as palisade posts and longhouse structures. 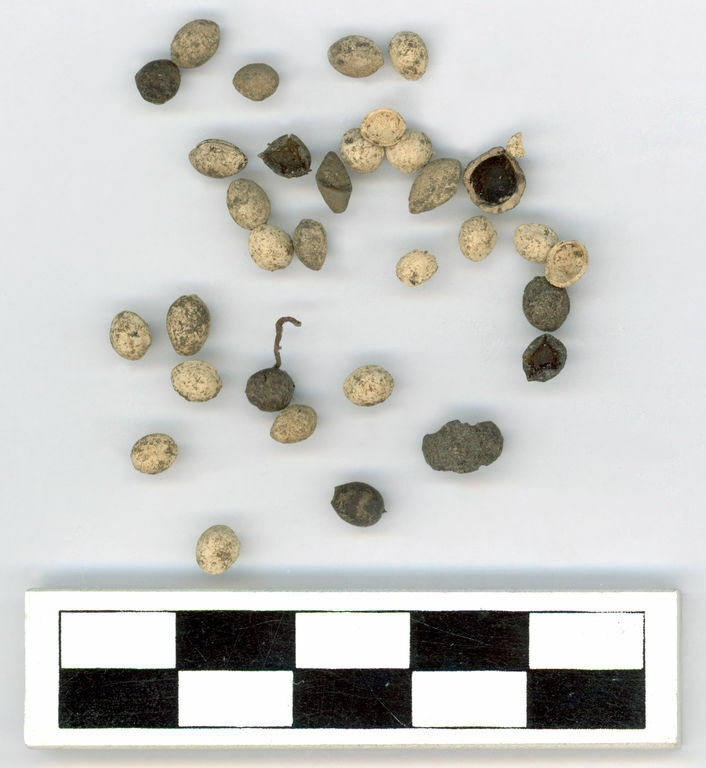 The archaeologists used trowels for removing the soil layers and then passed the soil through a sieve to collect small artifacts, such as beads with a diameter of 2 mm, and ecofacts, such as raspberry seeds and small bones. The goal of the 2014 field season was to document more thoroughly two craft working areas identified in the summer of 2013. 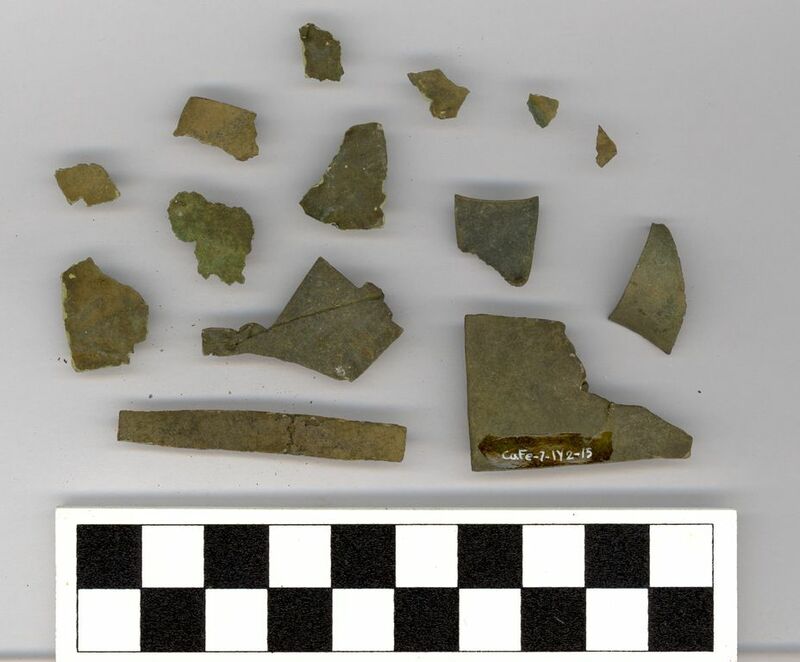 The first area was associated with the recycling of European metals into traditional tools and adornments, while the second was associated with working pelts and making shell beads. In September 2014, the team carried out archaeological work on site CaFe-9, where traces of a mill had been found. 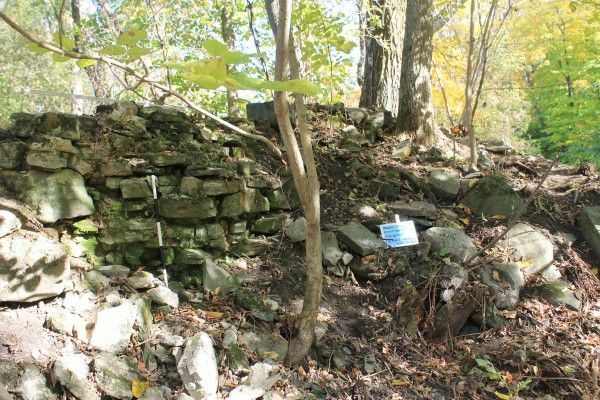 They wanted to gain a better understanding of the remains of the building uncovered in 2013 and of any changes that may have been made to the site or the landscape for grain processing purposes. Soil samples were taken for palynological analyses, and plants present on the site were inventoried with the help of the team from the Odanak Environment and Land Office. This team will be able to determine if the occupation of the mill, coupled with the presence of grain, modified the site’s original environment. This mill, which dates from the latter half of the 18th century, seems to have been an important meeting place for Abenakis and French and British colonists. At the end of the last field season, the archaeologists began to study the data that they had gathered. 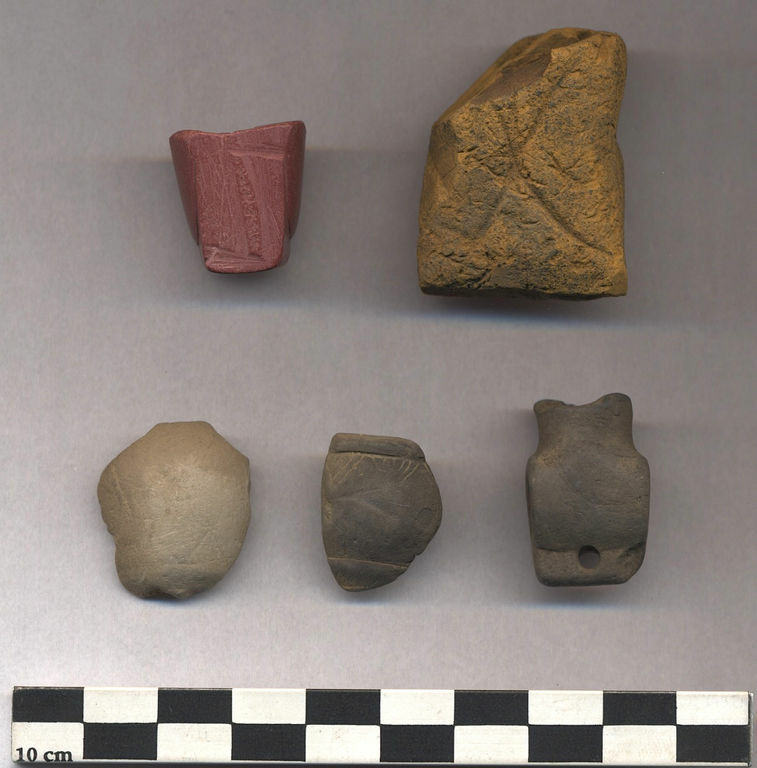 Some artifacts and ecofacts underwent specialized analyses, and the historical, oral and audiovisual sources were re-examined in the light of the discoveries made. 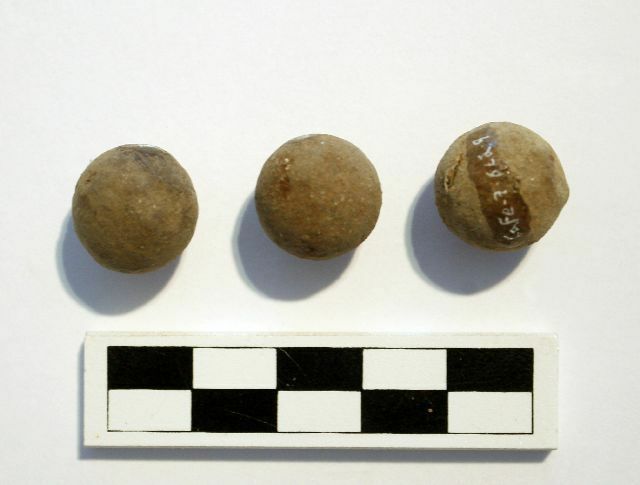 The results as a whole will enable the archaeologists to write a comprehensive report on their work and to thus shed new light on the presence of Abenakis along the Saint-François River.